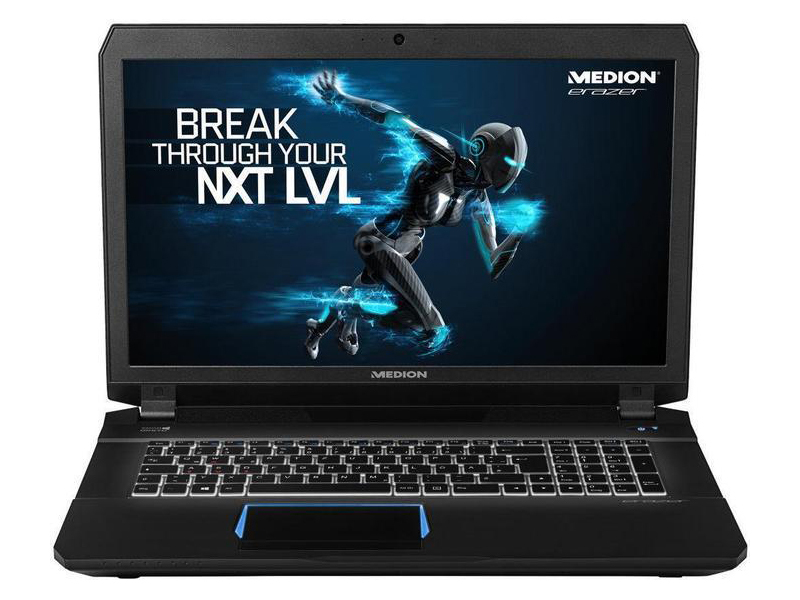 Model: The Medion Erazer X7843-MD99997 is a slim and lightweight gaming laptop. It is designed and catered towards gamers and multimedia enthusiasts. 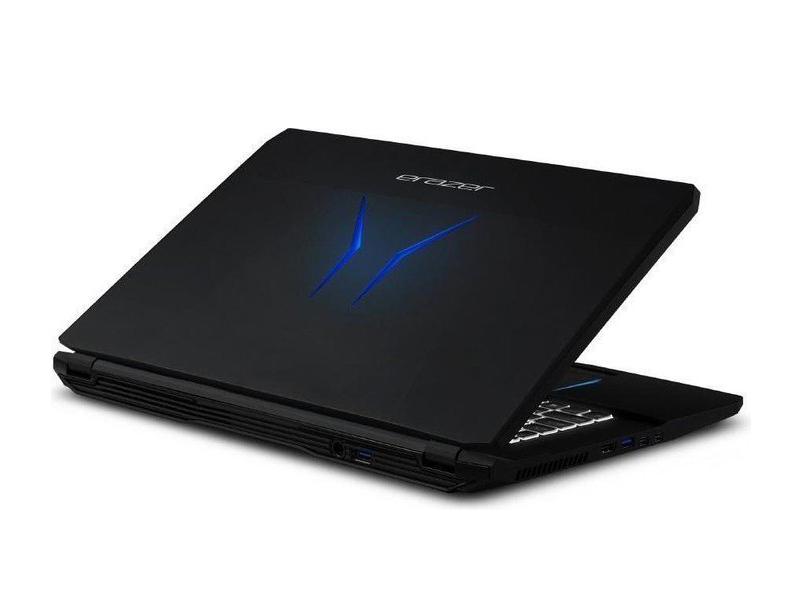 The design of the gaming laptop is surprisingly simple from the first impression and it is mostly covered in black color. The lid is in matte black color with Erazer letters and blue illuminated stripes in the middle. 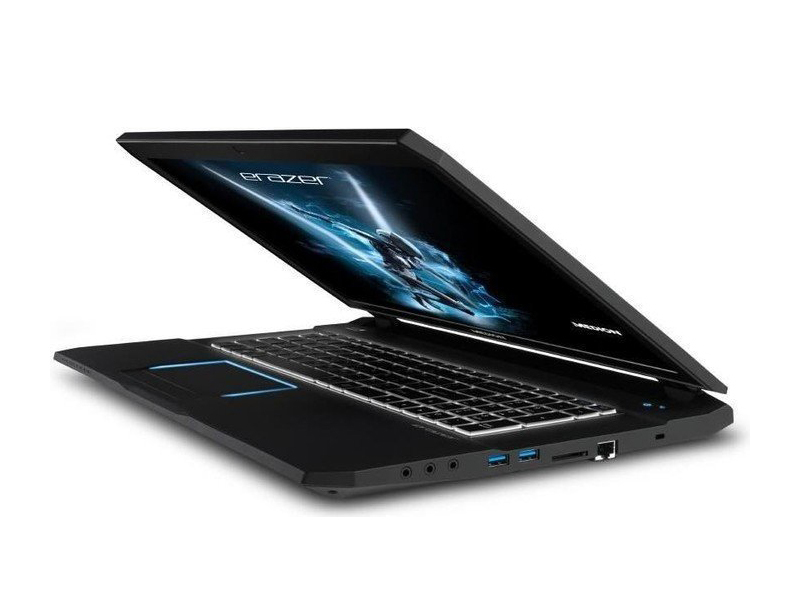 However, the gaming laptop has a high quality build and workmanship. The Microsoft Windows 10 Home 64-bit edition operating system features a 2.6 GHz Intel Core i7-6700HQ processor paired with an Nvidia GeForce GTX 980M graphic card. As for the memory, it has 16 GB DDR4 RAM and a 512 GB Solid State Disk and a 1 TB hard drive. RAM can be expanded by up to 64 GB if it is necessary. The Solid State Disk ensures that the Microsoft Windows 10 operating system will boot quickly. Due to the intelligent Nvidia Optimus technology, the gaming laptop is able to switch between the Nvidia GeForce GTX 980M graphic card and the power-saving integrated Intel HD graphics depending on the applications used by the users. The gaming laptop sports a 17.3-inch LG Philips LP173WF4-SPD1 IPS panel with LED backlight that is capable of displaying up to 1920 x 1080 pixel resolution. The bright screen features a good brightness distribution, a good contrast ratio and offers good viewing angles thanks to the IPS panel. On top of that, the display has an anti-glare coating and is not reflective. Hence, the users can use the screen outdoors, under bright lighting conditions and under direct sunlight. The downside of the display is that it gives a slightly bluish accent. This might be a manufacturing defect, but many users are reporting the same issue with their units. It has a Chiclet-style keyboard that is backlit so it can be used in the dark and under low lighting conditions without any problems. The keyboard also offers an easy and comfortable typing experience along with 5 different backlighting options for use in darker environments and additionally colored WASD keys, highlighting its gaming capabilities. 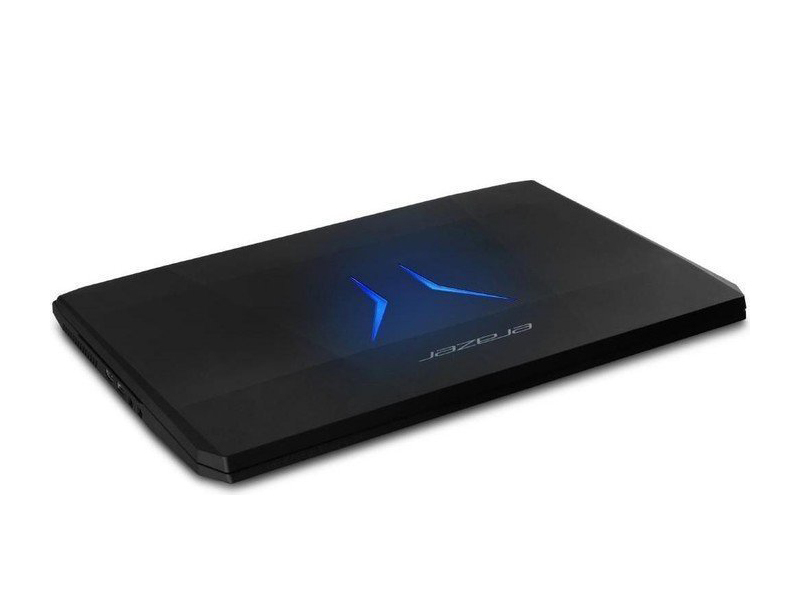 The edge of the touchpad is also lit up in the same colors as the logo found in the middle of the lid giving it some variety to the otherwise very simple design. 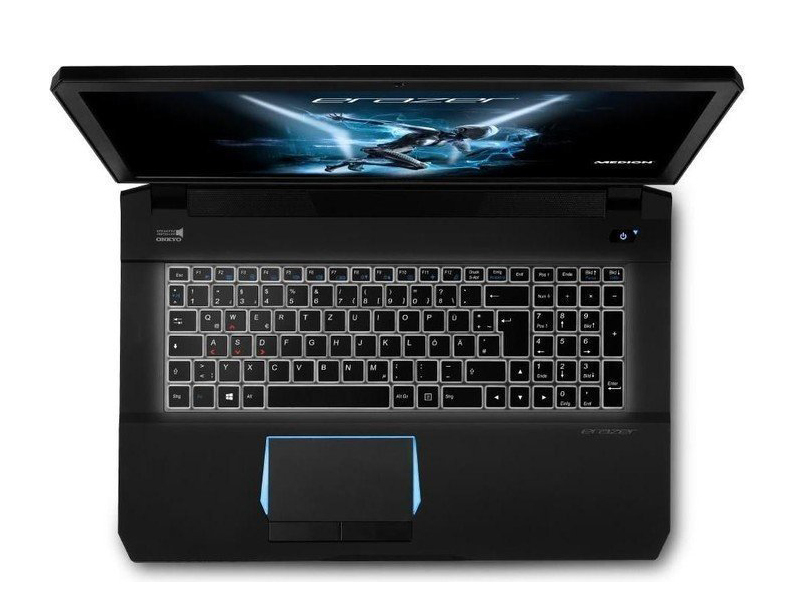 For communication options, the gaming laptop come with Intel Wireless AC 8260 technology and Bluetooth version 4.0. The sound is powered by a Sound Blaster X-Fi MB5 sound card. The laptop weighs 3.5 kg including battery and it has a battery life of up to 4:18 hours based on our Wi-Fi test. 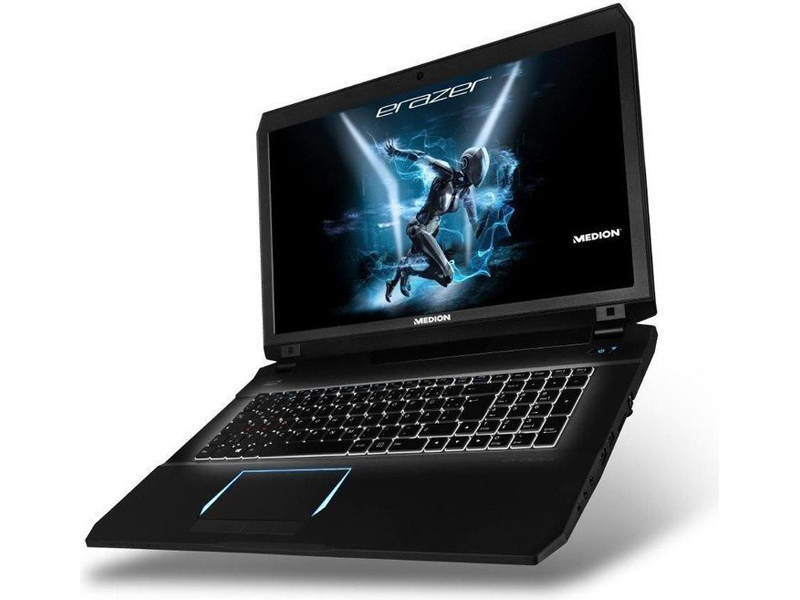 Although the price of the gaming laptop is not cheap, it offers a good price-performance ratio when compared to similar hardware specifications from other brands. 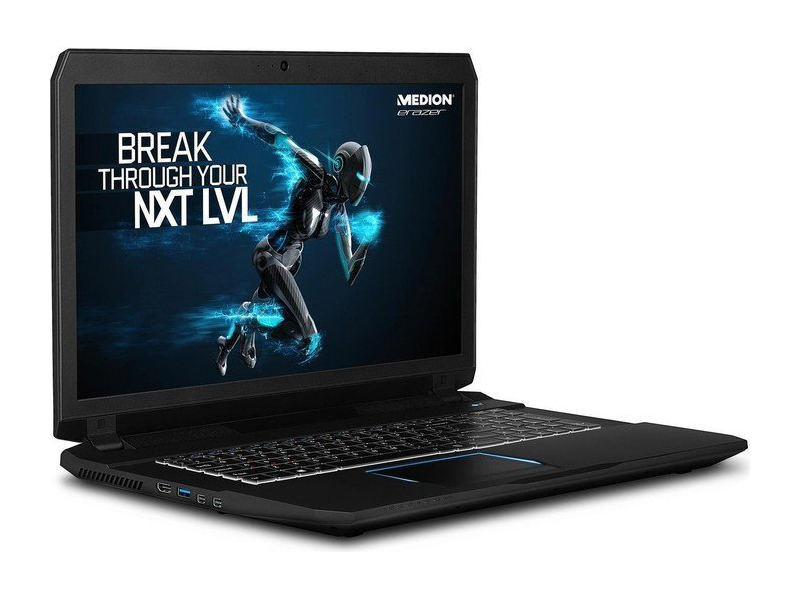 However, due to its heavy weight and poor battery life, it is not a suitable laptop for people who need a more portable unit, but, to be fair, most of the 17-inch gaming laptops face similar problems as the Medion Erazer X7843-MD99997.